James Anthony Walsh, son of James Walsh and Hanna Shea, was born in Cambridge, Massachusetts, on February 24, 1867. After completing his elementary education in the public schools, he attended Boston College High School where, in extracurricular activities, his skills in debating and journalism were first recognized and developed. He began his college program at Boston College, interrupted it to study bookkeeping, transferred to Harvard College as a “special student”, and completed his studies at St. John’s Seminary in Brighton, Massachusetts. He was ordained on May 20, 1892, at the Cathedral of the Holy Cross in Boston. After ordination, Walsh was appointed curate at St. Patrick’s Church in Roxbury, Massachusetts where he directed sodalities and organizations for both the young men and women of the parish. In 1903, he was appointed Diocesan Director of the Society for the Propagation of the Faith and in 1907 founded The Field Afar magazine, a monthly publication about the foreign missions of the Catholic Church. Walsh’s interest in the foreign missions led to his founding, together with Rev. Thomas Frederick Price, the Catholic Foreign Mission Society of America (C.F.M.S.A.) (commonly referred to as the Maryknoll Fathers and Brothers) in 1911. He acted as spiritual father and co-founder, with Mother Mary Joseph Rogers, of the Foreign Mission Sisters of St. Dominic (now called Maryknoll Sisters of St. Dominic). He served as Superior General of the Maryknoll Fathers and Brothers until his death in 1936. During the founding process and in his service as Superior General, Walsh made trips across the United States, to Rome and to other places throughout the world. 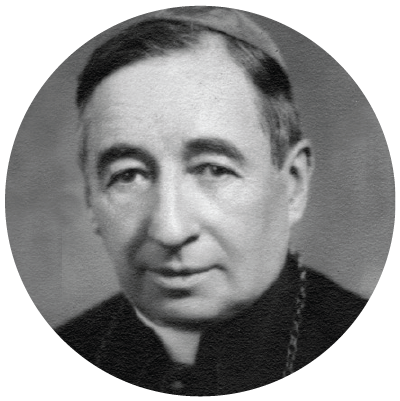 In 1933, Walsh was elected to the episcopacy and named Titular Bishop of Siene. He was consecrated in Rome on June 29, 1933, in the College of Propaganda Fide by Cardinal Fumasoni-Biondi. He died at Maryknoll, New York, on April 14, 1936. In addition to his writings in The Field Afar, he wrote a number of books: Choral Sodality Handbook (1898,1955), A Modern Martyr (1907), Thoughts from Modern Martyrs (1908), Observations in the Orient (1919), and In the Homes of Martyrs (1922). A biography of his life, All the Day Long, written by Daniel Sargent, was published in 1941 by Longmans, Green & Company, New York and Toronto. Further biographical information may be found in issues of The Field Afar (Maryknoll Magazine) and in writings of Maryknollers.